On Monday, January 21, the Memphis Grizzlies, National Civil Rights Museum, City of Memphis and Shelby County will host the 17th Annual Martin Luther King Jr. Celebration Game, presented by the Mid-South Ford Dealers, in a side-by-side telecast, regionally on FOX Sports Southeast and nationally on TNT vs. the New Orleans Pelicans at 4:30 p.m. The celebration game will be a part of multiple events commemorating the 51st anniversary of Dr. King’s birthday and include the Sports Legacy Award presentation, annual Earl Lloyd Sports Legacy Symposium, National Civil Rights Museum discussion and more, all in an effort to engage the community and Mid-South youth to remember, celebrate and act on Dr. King’s legacy. Associate celebration and game sponsors include FedEx, The Hyde Family Foundation, and Ashley HomeStore. This year’s honorees of the 14th Annual National Civil Rights Museum Sports Legacy Award, presented by the Mid-South Ford Dealers, feature a star-studded lineup of NBA and WNBA greats: Chris Bosh, Wayne Embry, Candace Parker and Bill Walton. All will be honored during the MLK Jr. Celebration Day events, including the Earl Lloyd Sports Legacy Symposium, presented by the Hyde Family Foundation on January 21 at 3 p.m., for their dedicated and significant contributions to civil and human rights and for laying the foundation for future leaders through their career in sports in the spirit of Dr. Martin Luther King Jr.
Tip-off for the Grizzlies vs. Pelicans matchup is at 4:30 p.m. with the National Civil Rights Museum Sports Legacy Award Ceremony. 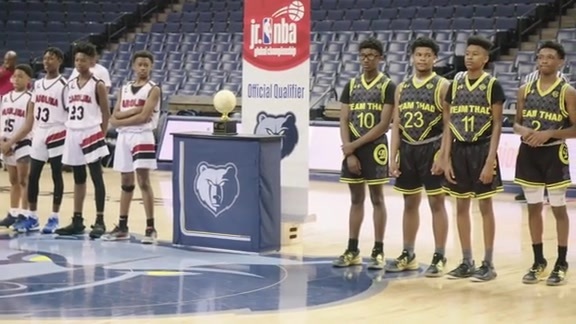 Grizzlies Youth Scholar recipients and National Civil Rights Museum Representatives will present the honorees with the Sports Legacy Award before tip-off. Later in the game, this year’s MLK Day halftime ceremony, presented by the Mid-South Ford Dealers, will feature a Martin Luther King Jr. tribute video and special halftime performance by Grammy-nominated singer and songwriter Anthony Hamilton. Proclaimed a “national treasure” by the Los Angeles Times, GRAMMY® Award winning singer, songwriter, producer, and actor Anthony Hamilton has achieved global sales of over 50 million albums. The North Carolina Music Hall of Fame inductee notably performed for President Barack Obama and First Lady Michelle, cementing his place in the history books as the “narrator of love.” Introduced by way of the iconic 2003 smash "Charlene", his raw, awe-inspiring performances garnered the attention of NPR where he starred in their Noteworthy documentary series. He appeared in American Gangster and lent his voice to "Freedom" from the Academy® Award-nominated Django Unchained. Additionally, he became the "first R&B artist to sell an album at Cracker Barrel." Next up, Hamilton will unveil his ninth full-length studio album in 2019. As an organization, the Grizzlies have already tipped-off Martin Luther King Jr. Celebration events with multiple community service events around the Greater Memphis area. Celebrations continue this coming Monday, January 14, when Grizzlies employee volunteers along with high school students from Booker T. Washington High School will join together in a career day and mentoring opportunity from 9 a.m. – 2 p.m. The students will hear from various Grizzlies employees on career advice, and together they will tour the National Civil Rights Museum. On Tuesday, January 15, the Grizzlies will host 100 students from JIFF, Bridges and Grizzlies Prep for a MLK Jr. Student Roundtable from 4-4:45pm. Grizzlies guard Mike Conley and forward Jaren Jackson Jr. will act as student leaders and share their insights while answering questions in a panel discussion. This event is closed to the general public, but fans can tune in to the roundtable live stream at Grizzlies.com. After the live stream students will participate in breakout sessions to discuss social issues facing them today, with the event concluding at 6 p.m. that evening. On Saturday, January 19, a Martin Luther King Jr. NBA Tournament will be held from 9 a.m. – 6 p.m. at the Grizzlies Center at Memphis Athletic Ministries (2107 Ball Road). For a team fee of just $25 (for up to 5 players), participation includes pool and bracket play, jerseys, Grizzlies entertainment team performances, and appearances by NBA/WNBA legends. The tournament is open to boys and girls with divisions of 10U, 11U, 12U and 13 and under offered. Pre-registration is required; visit grizzlies.com/youthbasketball to sign up. The following day, Sunday, January 20, a number of Grizzlies players along with Bosh, Embry, Parker, Walton and other special guests will tour the National Civil Rights Museum. Following the tour, special guests will attend a community conversation, hosted at the National Civil Rights Museum beginning at 6 p.m. and streamed live on Grizzlies.com. Discussion guests will include Grizzlies guard Garrett Temple, The Undefeated’s Marc Spears and NBA TV host, former player Grant Hill and other guests and will be hosted by National Civil Rights Museum President Terri Freeman. The conversation will focus on issues at the intersection of race and sports. Media availability for the National Civil Rights Museum Sports Legacy award honorees and discussion panelists will be at the conclusion of the conversation around 7 p.m.
Celebration events will continue on Monday, January 21 with the Martin Luther King Jr. High School Classic presented by Ashley HomeStore from 12:00 – 1:30 p.m. on the main court at FedExForum. The game will feature two Mid-South teams as Pulaski Academy (Little Rock, Ark.) face off against Beebe (Ark.) High School. Access is free for fans with tickets to the Grizzlies Pelicans game that evening. Fans will also be able to head to the Martin Luther King Jr. Day Mentoring Recruitment Fair beginning when doors open at 2:30 p.m. through the end of halftime. Community partners will be on site throughout the Plaza Level Concourse at FedExForum to answer questions and discuss recruitment opportunities. The event lineup will continue with the Earl Lloyd Sports Legacy Symposium, presented by the Hyde Family Foundation, from 3-4 p.m. in the Grizzlies Built Ford Tough Training Facility at FedExForum. The symposium, hosted by Grizzlies television play-by-play announcer Pete Pranica, will feature Bosh, Embry, Parker and Walton who will share stories of their community work and experiences through their career in sports, in the spirit of Dr. King. The symposium will be live on FOX Sports Southeast. While admission is free to the symposium with the purchase of a ticket to the Grizzlies vs. Pelicans game, space is limited. Doors open at 2:30 p.m. Fans who want to support the Memphis Grizzlies by purchasing ticket to the Martin Luther King Jr. Celebration Game can do so now by calling (901) 888-HOOP or going online to grizzlies.com. Tickets for all games are available for purchase at all Ticketmaster locations, ticketmaster.com, the FedExForum Box Office, online at grizzlies.com or by calling 1-800-4NBA-TIX or (901) 888-HOOP. 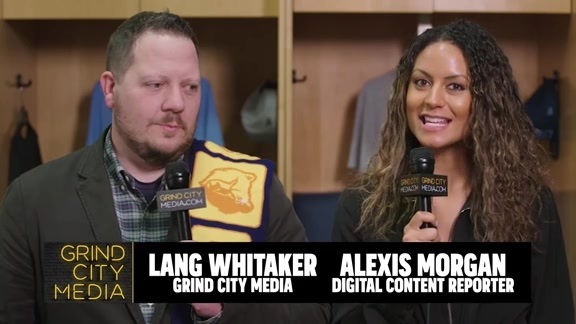 For more information on the Grizzlies, ‘like’ Memphis Grizzlies on Facebook or follow on Twitter (@memgrizz).